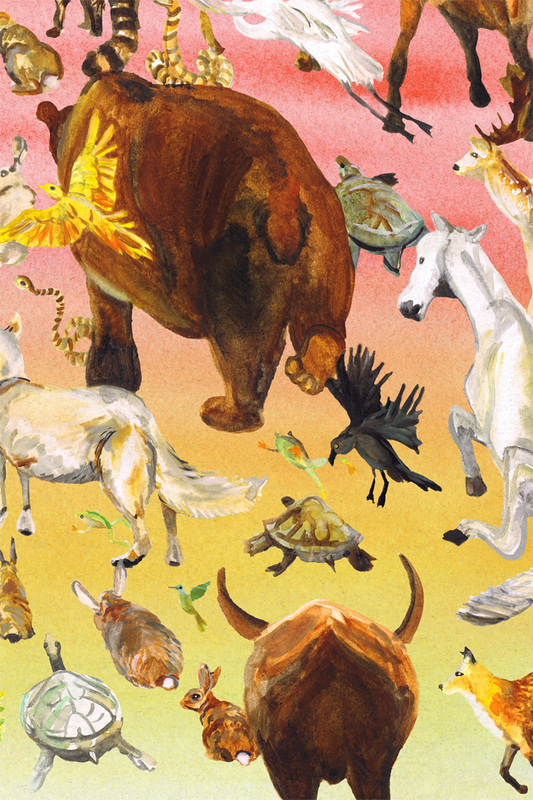 It will surprise no one that my favorite part of the Orpheus myth is the part where all of the animals love Orpheus's music and come to hang out and listen to him play. 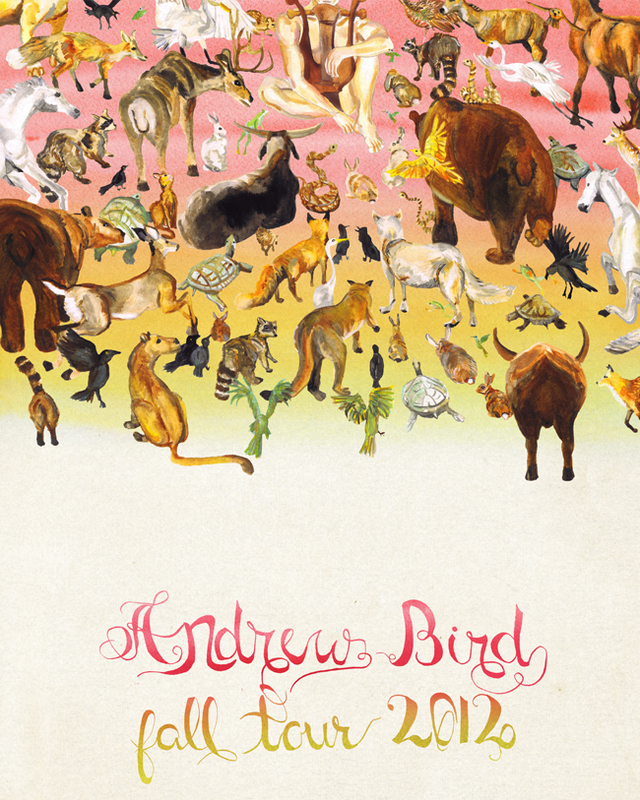 So here is another take on "Oprheo Looks Back" for the Andrew Bird poster contest. 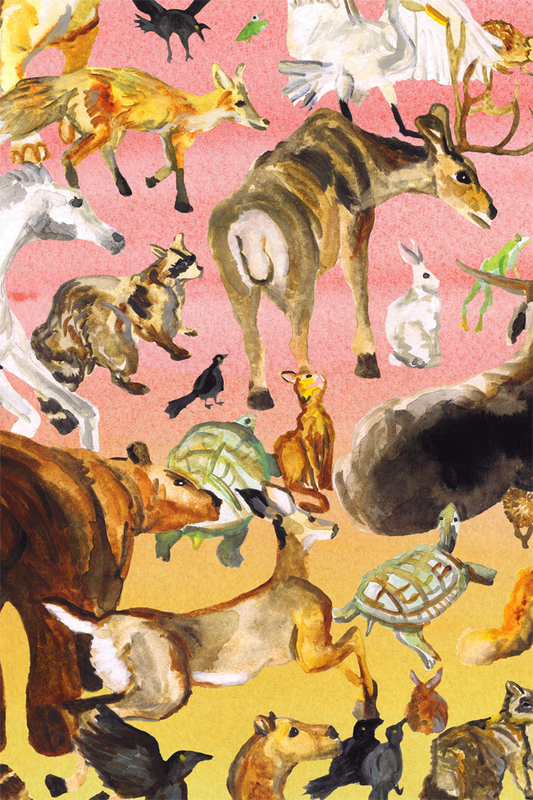 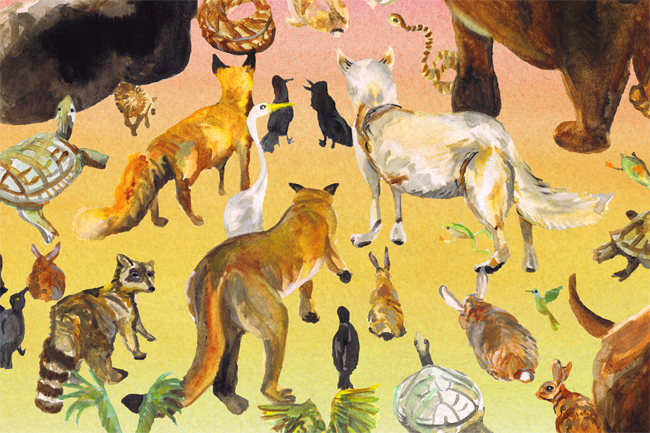 Below I've included an alternate background color, the full-size scan of the animals, some details of the animals, a version without the Andrew Bird text, and the sketch I made before doing the watercolor animals. 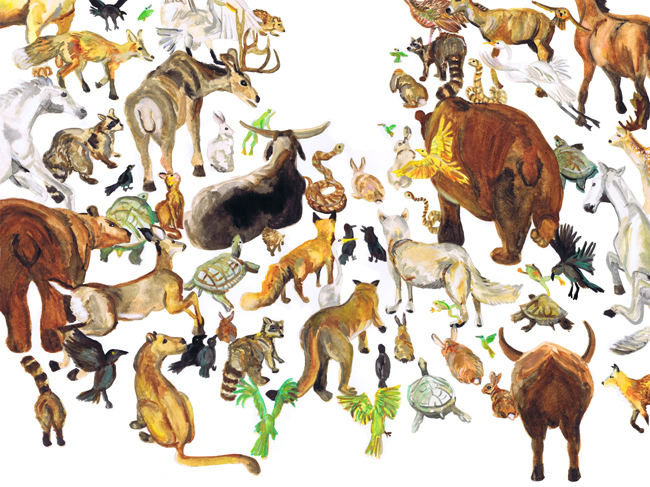 The animals were done all on one 24"x18" sheet of watercolor paper, Orpheus was done separately, and the text and backgrounds were done separately. You may also recognize the lyre from my Orpheus and Eurydice. 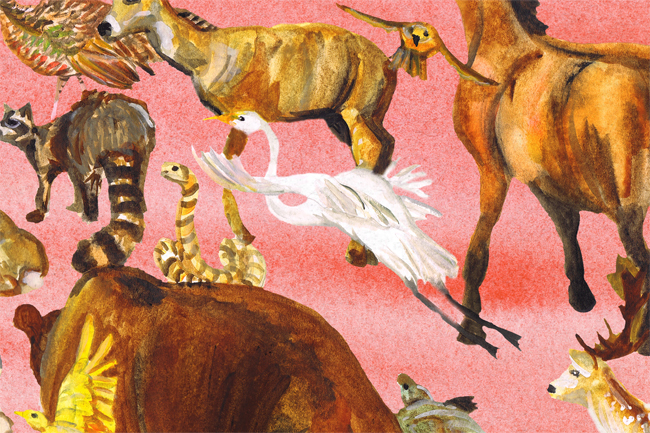 This piece was very fun, though exhausting, to do. 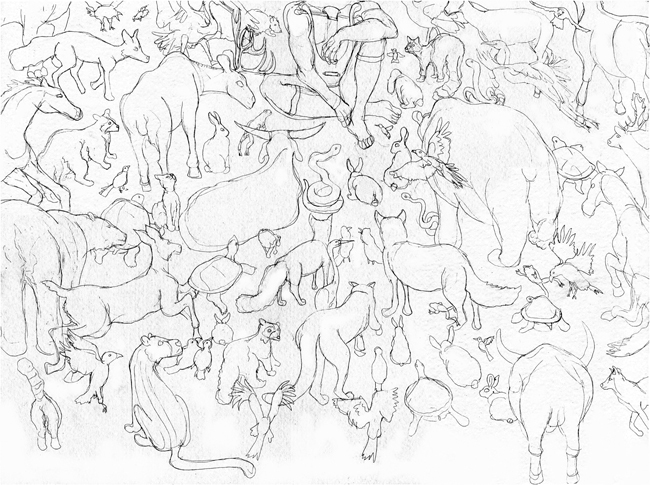 I have drawn a lot of animals, but never so many from the rear view. 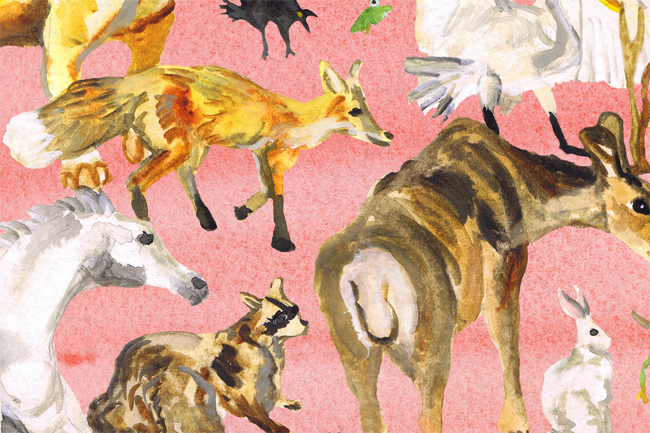 It's a testament to how much I love drawing animals, though, that though I may need a bit of a break from drawing in general, I'm still excited to draw more animals!